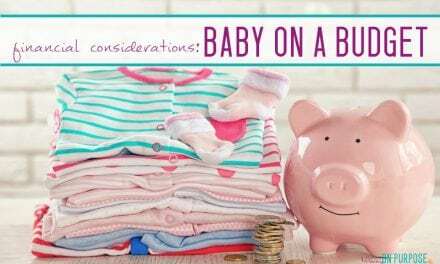 Considering Taking a Baby to Disneyland? We all know that Disneyland is one of the most magical spots to vacation. But even though it’s the “Happiest Place on Earth”, the thought of taking a baby to Disneyland can seem a little daunting. 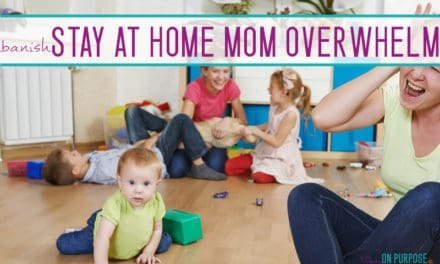 If it’s something you’d love to do, (or if you want to take your older kids and the baby just happens to be coming along – because you know – she’s your baby) don’t let it scare you! Recently I was part of a discussion on Facebook where I said I wasn’t sure that taking a baby to Disneyland would be worth it and someone else said “I know they probably won’t remember the trip, but I will and that’s important too!” And it made me think… YES! Take the time to ENJOY your baby. I mean, watching his little face light up is the highlight of my life! My memories are important too. Disneyland could be even more enchanting when you bring your baby along. 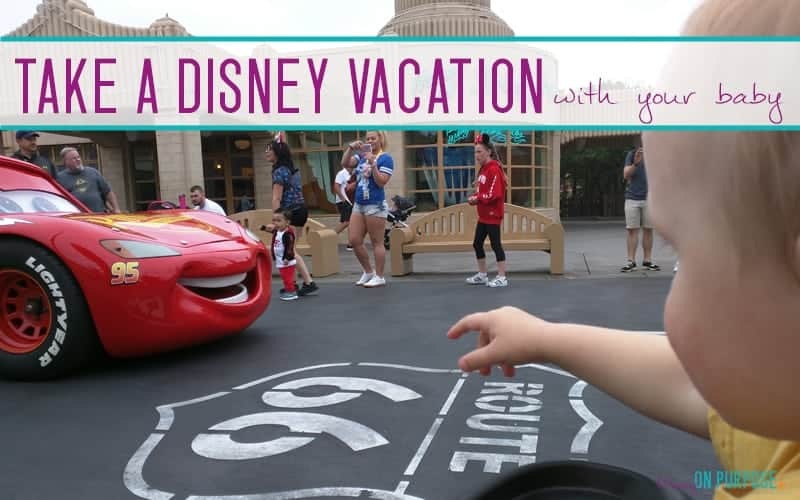 There are plenty of ways to make your Disneyland trip with a baby easy, breezy and I have gathered my top tips for you. This is the number one most important tip because when you stay close to the park it is SO EASY to walk back to your hotel for nap time (I am obsessed with getting in a good nap for the squishy baby). You can avoid tantrums from your baby (or from you, no judgement) if everyone can stay well rested. Nap time for us falls right in the middle of the day, which is the busiest time of day at the park (and also the hottest). Take a break by the pool and give you and babe a chance to relax and recuperate before you head back to the park. Some favorite hotels that are right across the street or around the corner are the Tropicana Inn & Suites, The Desert Palms Hotel & Suites, Castle Inn & Suites, the Courtyard Anaheim Theme Park Entrance and of course, the three Disney properties. Not only will your arms and back be saved from holding kidlet all day, but the stroller can hold your diaper bag, souvenirs, water bottles etc. Keep in mind that there are always going to be a bunch of strollers in the park so you will want to differentiate yours from others to make it easier to spot. Tie a balloon to it or brightly colored ribbon or a sign with your name on it. Usually your stuff will be pretty safe, but it is always recommended to keep valuables with you when away from your stroller, just in case. You can check your stroller with most airlines, or if you are driving it’s easy to stick in your trunk. If you do decide to fly, ask if you can check your stroller at the gate, so it travels with you instead of down below with the luggage. That way, you can use it in the airport and the wheels won’t get broken when it gets thrown in with all the luggage. If you don’t want to travel with a stroller, there are a few different options to rent a stroller when you get to the parks. You can either rent one directly with the park, or there are a few third party rental services available. No matter which way you choose to have a stroller at the park, you’ll be glad you have one! Disneyland is really great about being super baby and family-friendly. This means they have plenty of ride options that everyone can ride on – even your baby. If you look on Disney’s website, these rides have “no height requirement” in the description, but to make it easier for you, I’ve found all the rides that are baby-friendly and put them right here! As you can see, there are PLENTY of rides that your little one can go on. If there is an attraction that you want to ride on (because it’s important that YOU enjoy your holiday too!) but your baby can’t, take advantage of the Rider Switch. How Rider Switch works is you will head to the FASTPASS line at the ride. Bring those who will be “switching” to the Cast Member and let them know you want to use Rider Switch. They will give the first rider a paper. From there, they will go through the Fastpass line (it works just like a Fastpass but you are by yourself) and ride the ride. They will return back and give the paper to the next rider and they will do the same. If there isn’t a Fastpass option, the first rider will need to wait in the full line, then once they are off, the other rider gets to go in through the exit/wheelchair entrance. It really can’t be stressed enough how baby-friendly Disneyland is. If you let yourself relax and go with the flow… and understand that anything in your life is going to be different with a baby, you will have a MUCH better time. Clinging to a rigid schedule or planning to do ALL THE THINGS in one day is just setting yourself up for frustration and failure! Enjoy Disneyland, enjoy your baby. Make these memories – for you! TAKE PICTURES! I can not wait until I can take my babe to Disney! !